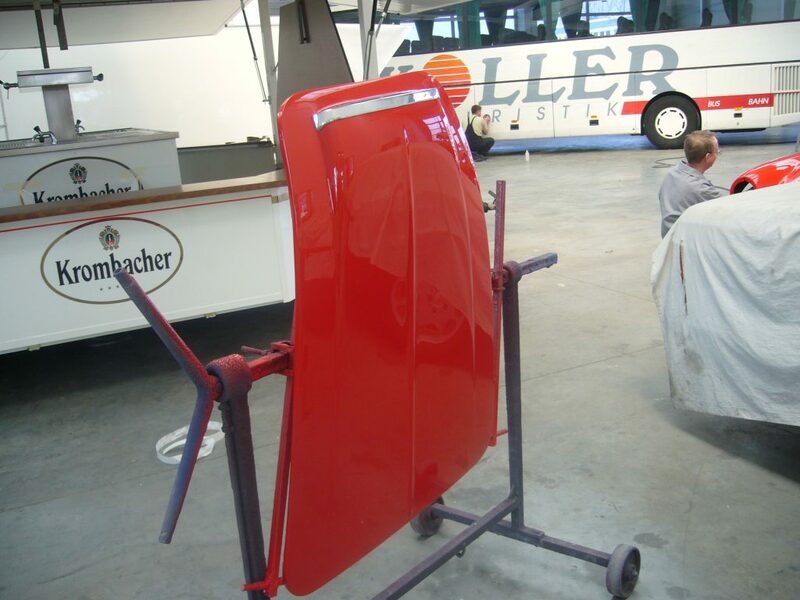 HISTORY FILE – Our immaculate BN6 2-seater model was imported to Germany from the US in the late 1980’s and subjected to a comprehensive, frame-off restoration which was completed in the summer of 1991. 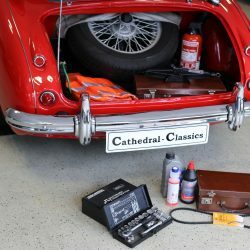 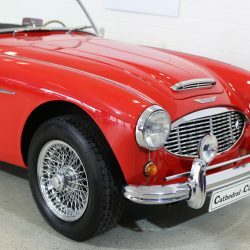 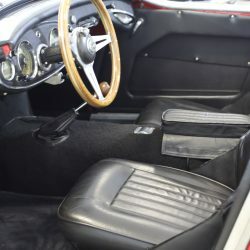 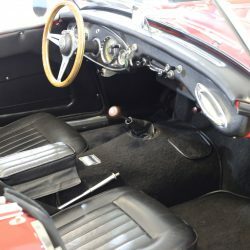 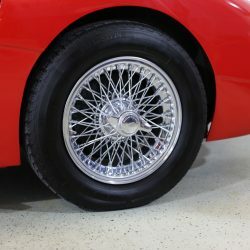 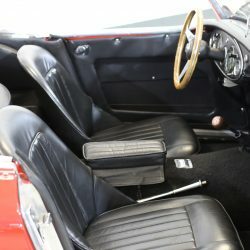 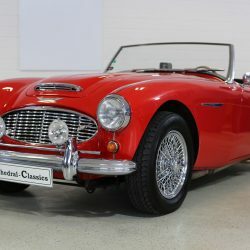 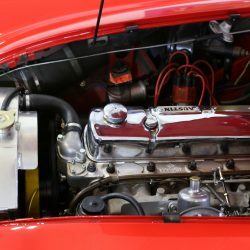 The last custodian (25 years) purchased the car in 1993 and has since fastidiously maintained it to such an exacting standard that there is literally too much to mention here from the organised folder documenting the cars history. 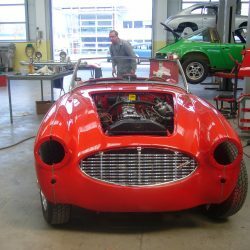 Close to €100k has been invested over the period. 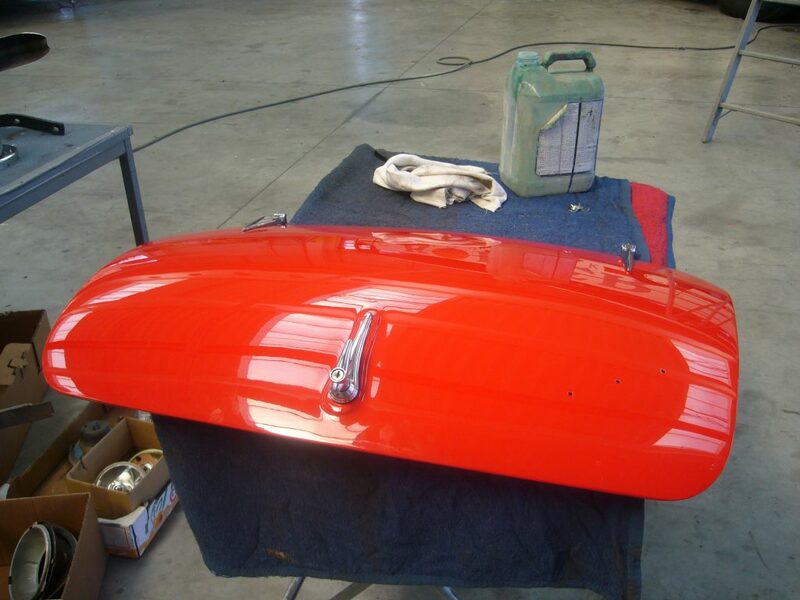 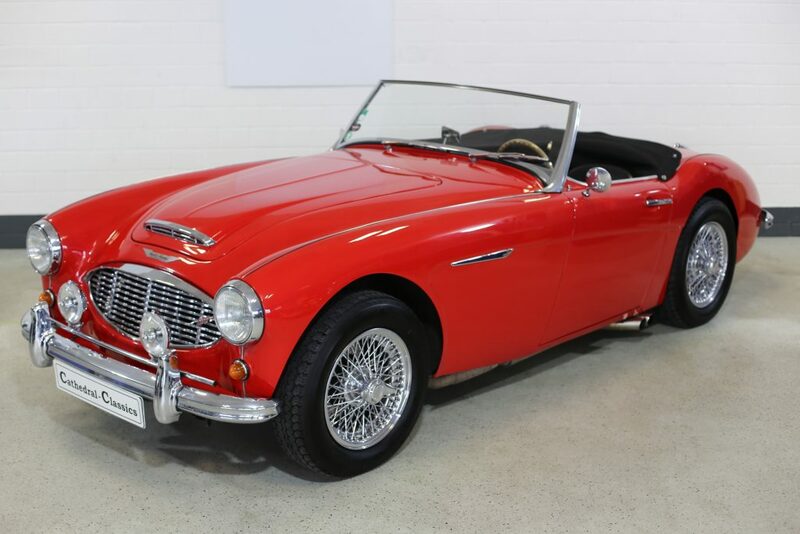 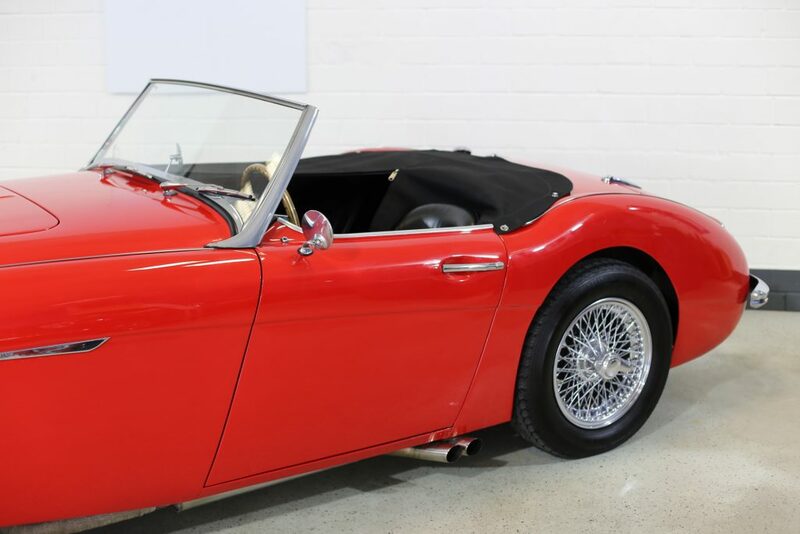 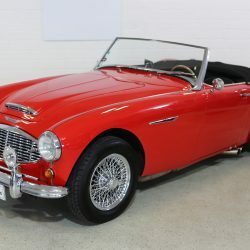 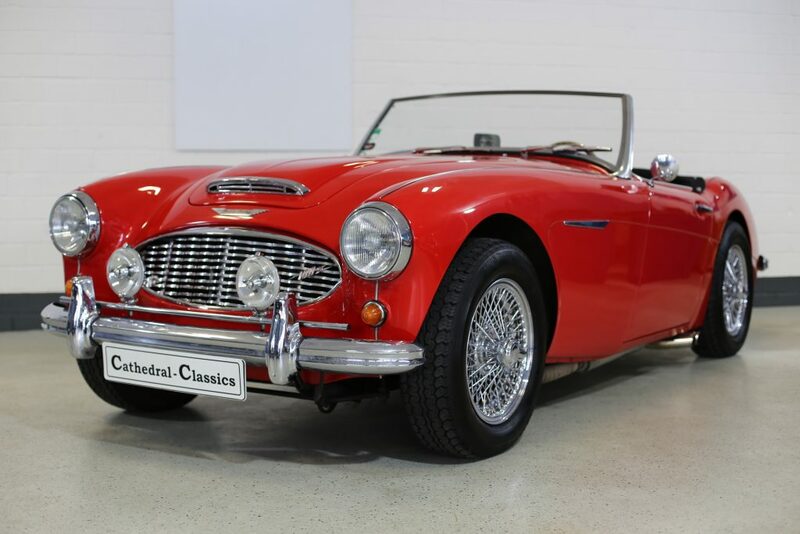 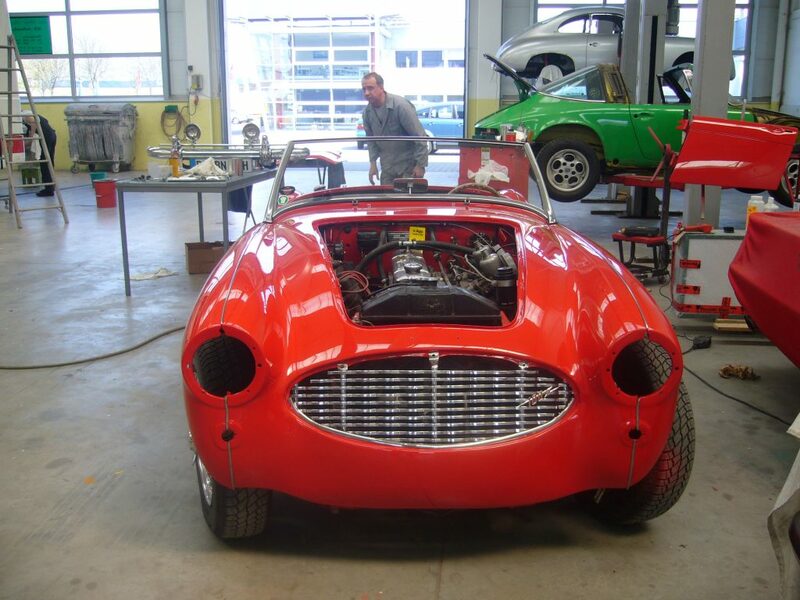 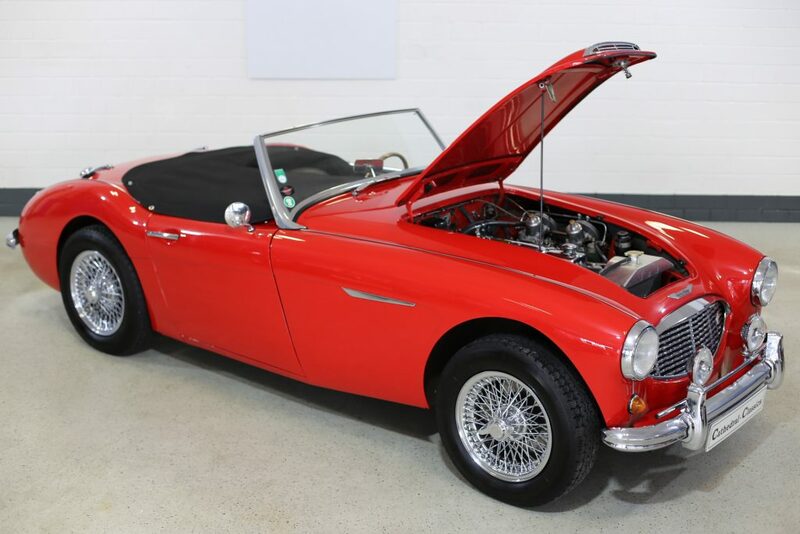 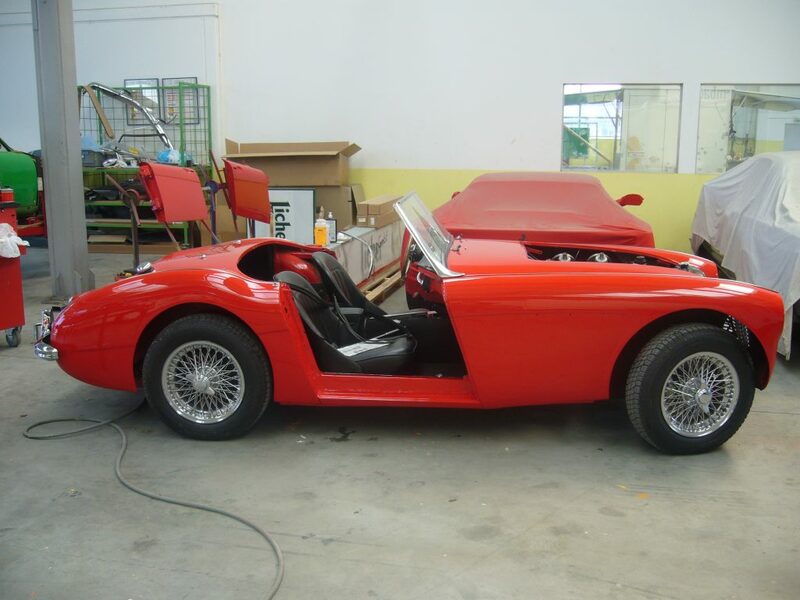 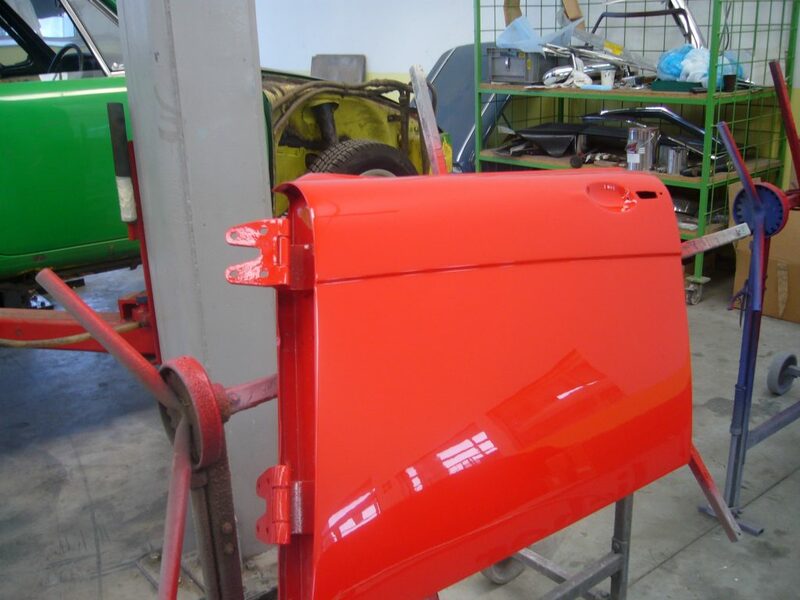 Our ‘Big Healey’ receives further pampering in 2006 with light body restoration and gleaming new paint by Fm Niggemeyer in Paderborn Germany. 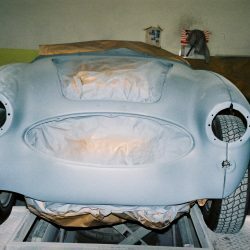 Now 12 years later, the result is remarkable and looks like it was painted yesterday! 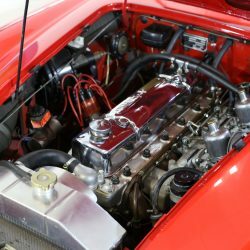 Between 2014 and 2017 the car has continued to improve with subtle engine (see below) modern up-grades that will not disappoint. 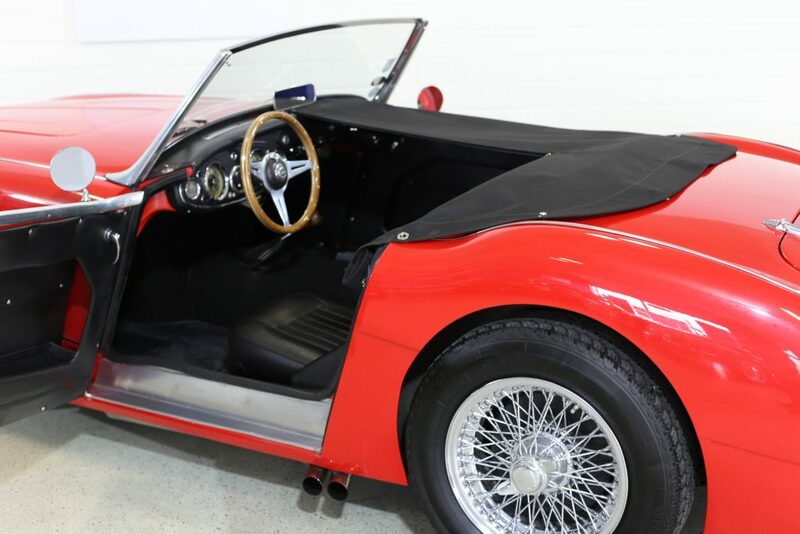 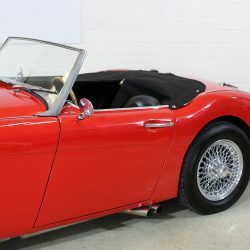 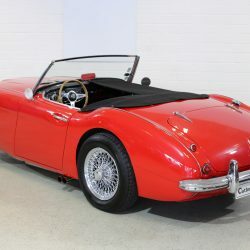 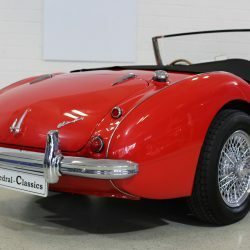 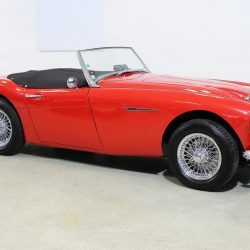 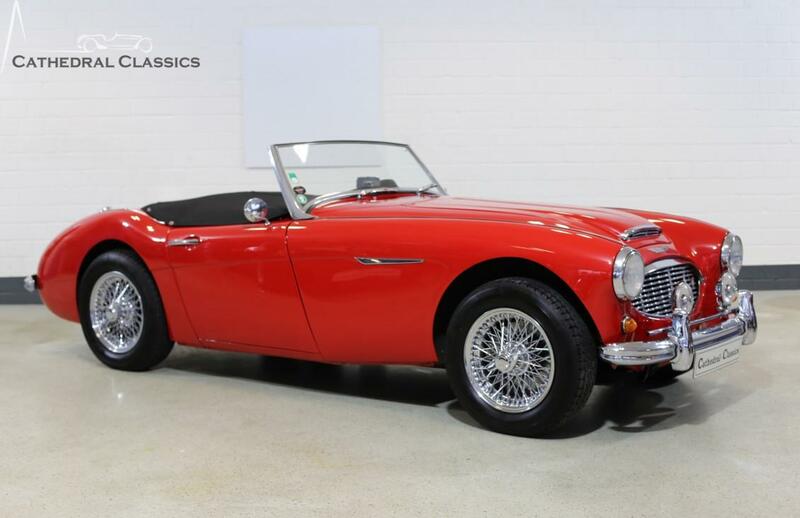 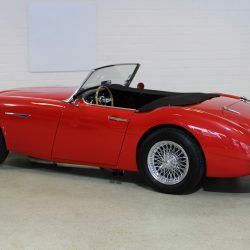 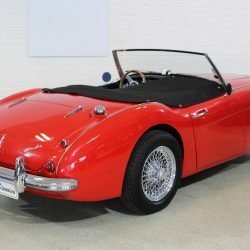 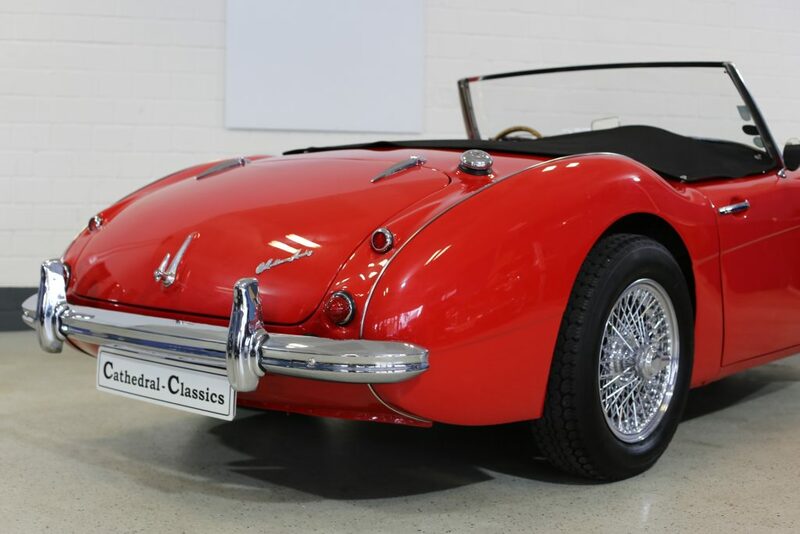 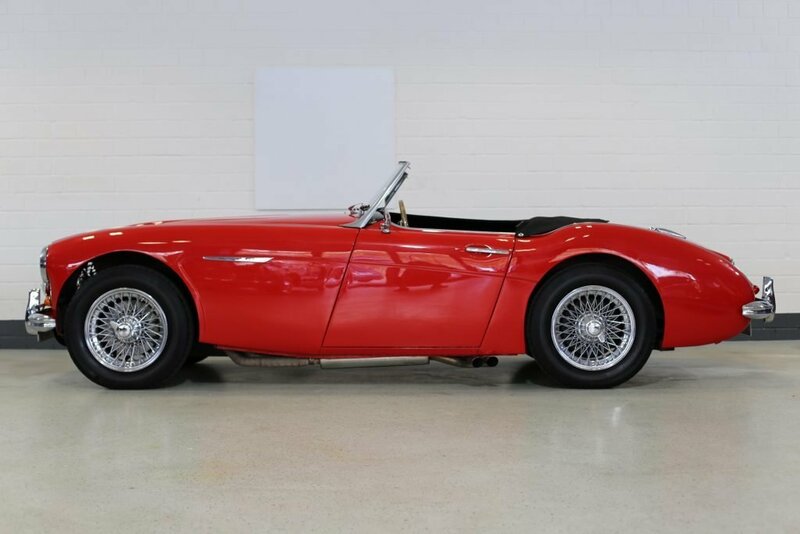 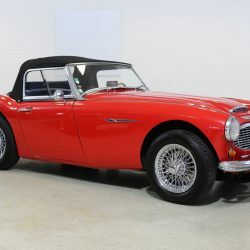 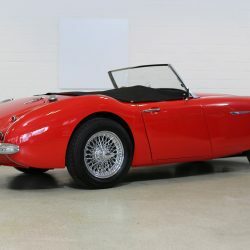 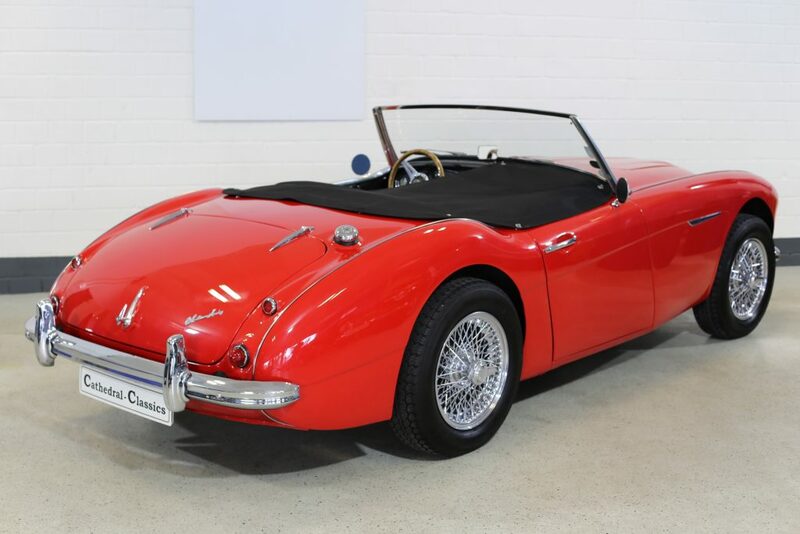 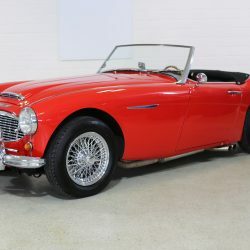 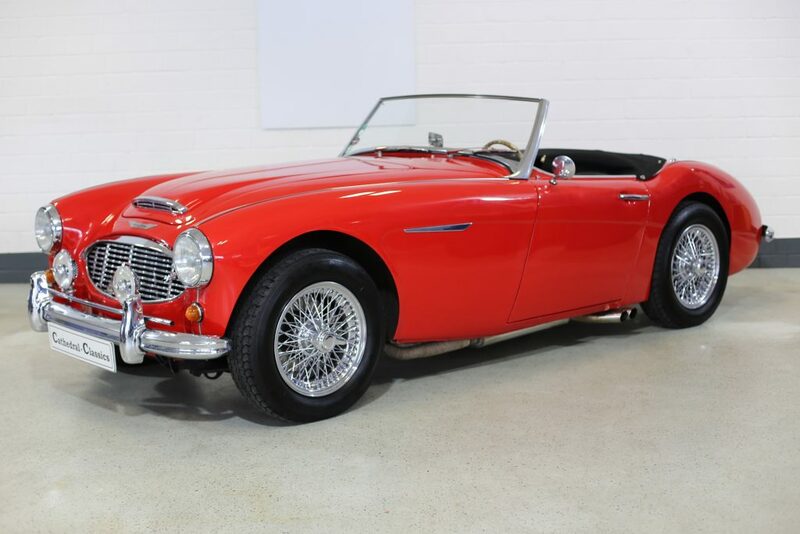 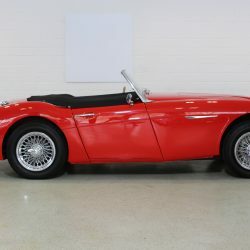 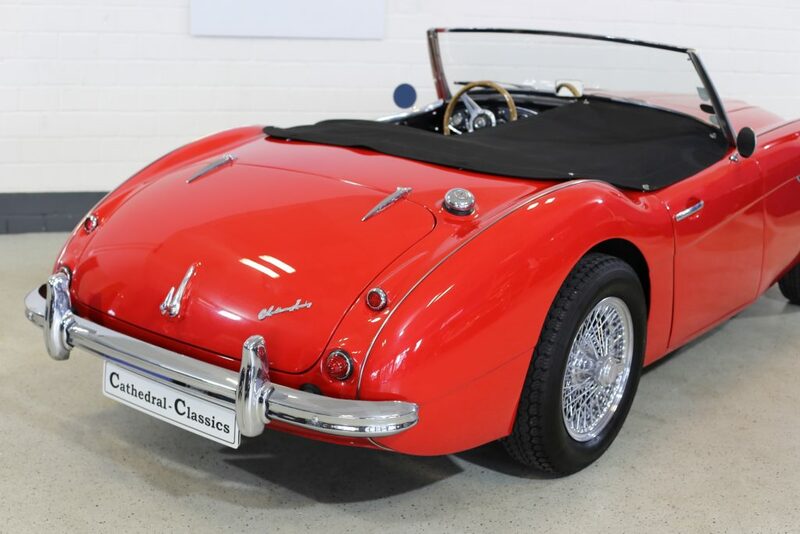 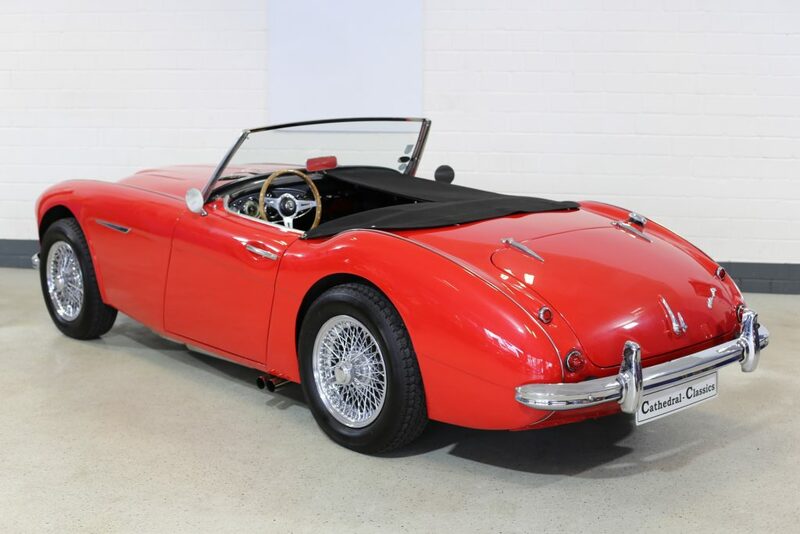 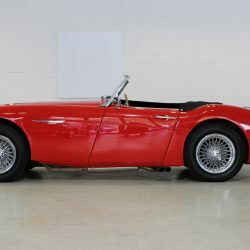 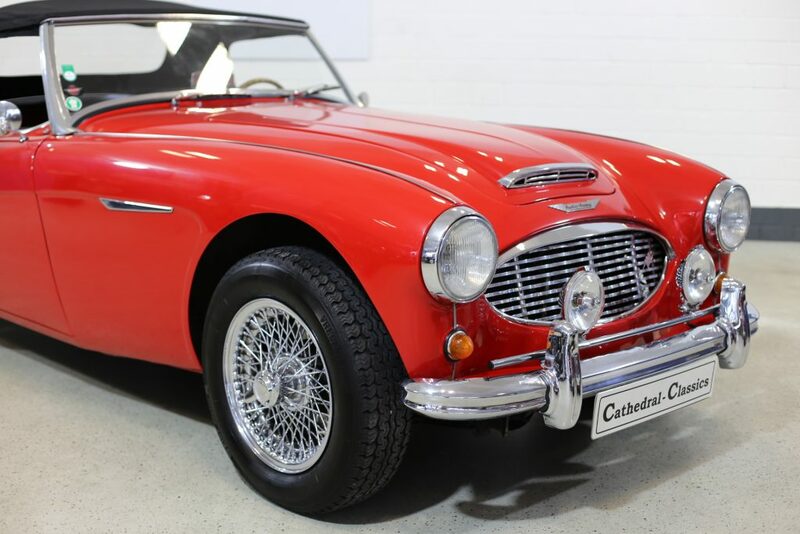 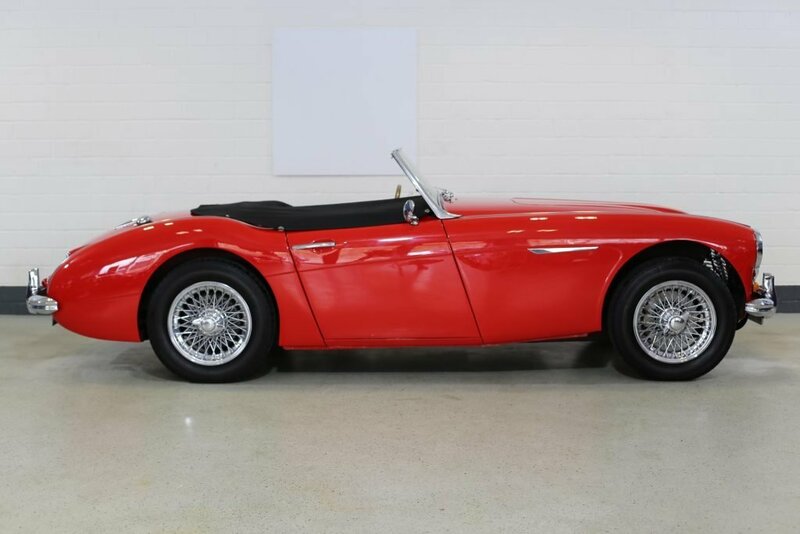 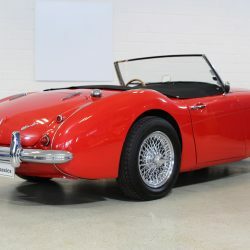 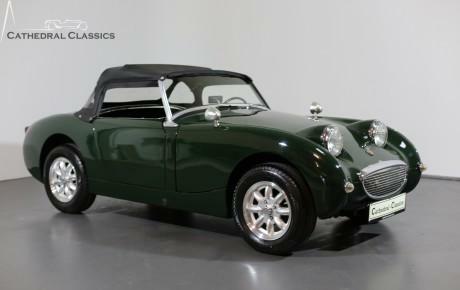 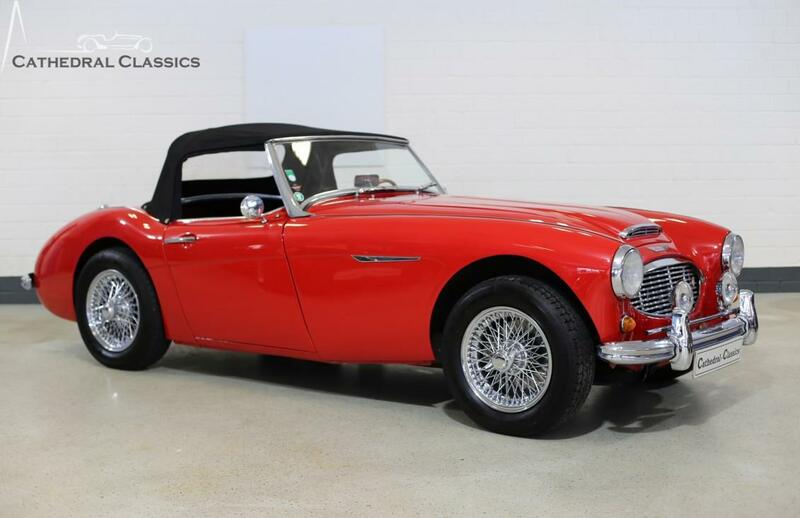 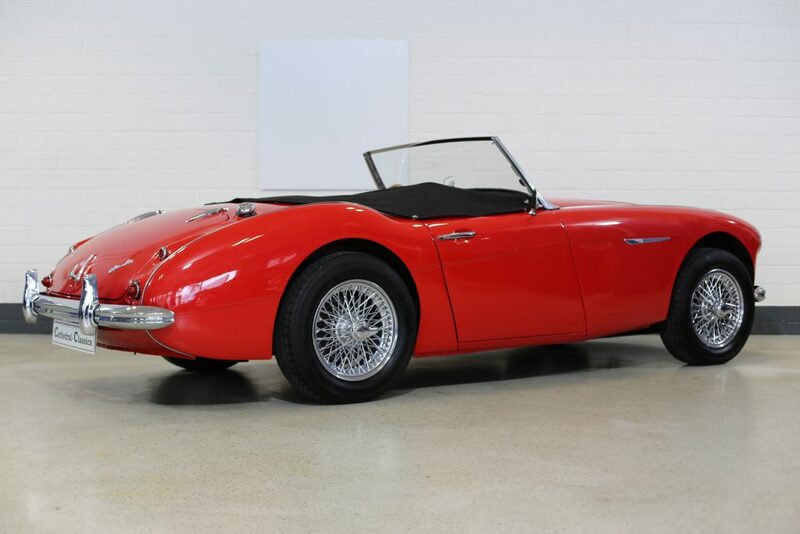 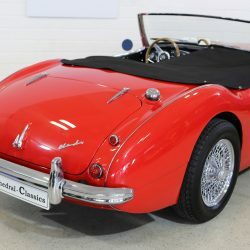 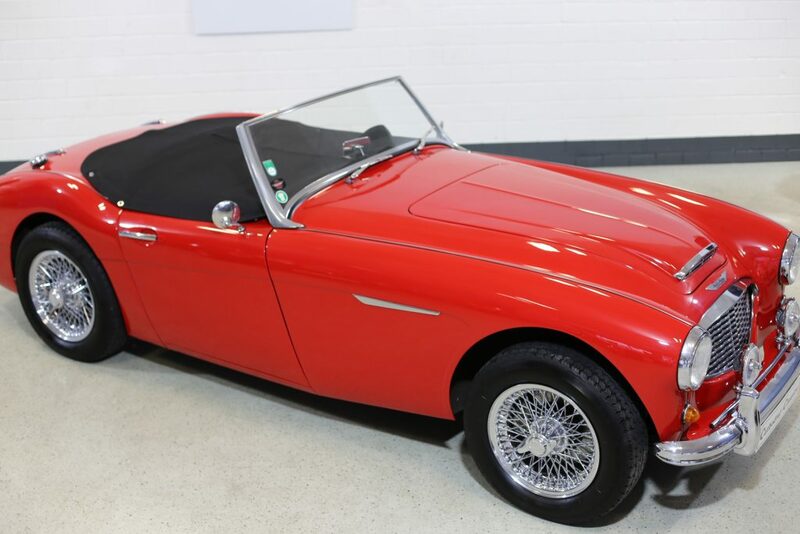 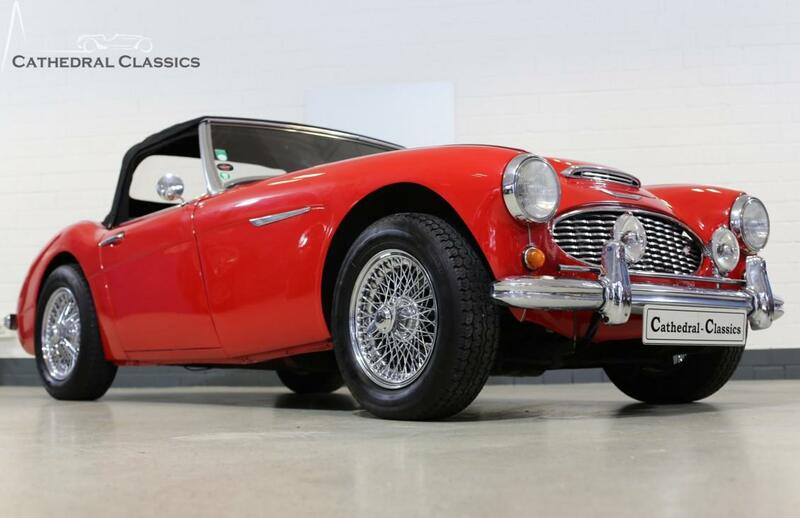 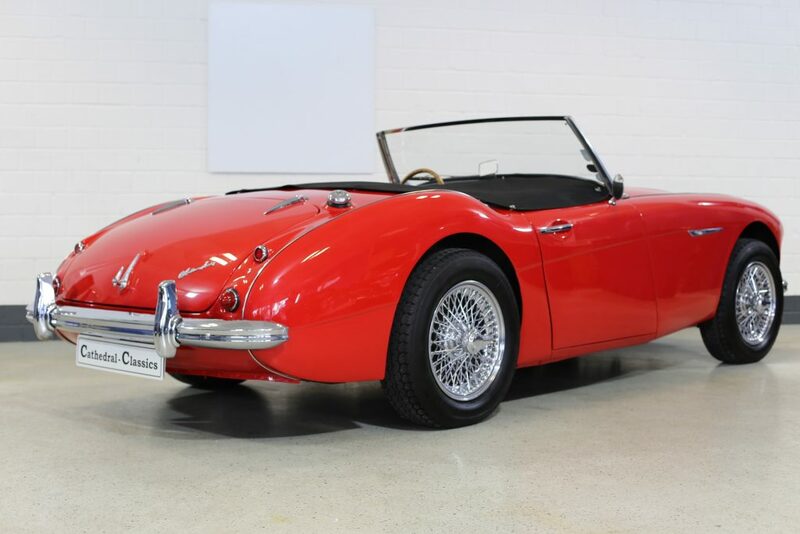 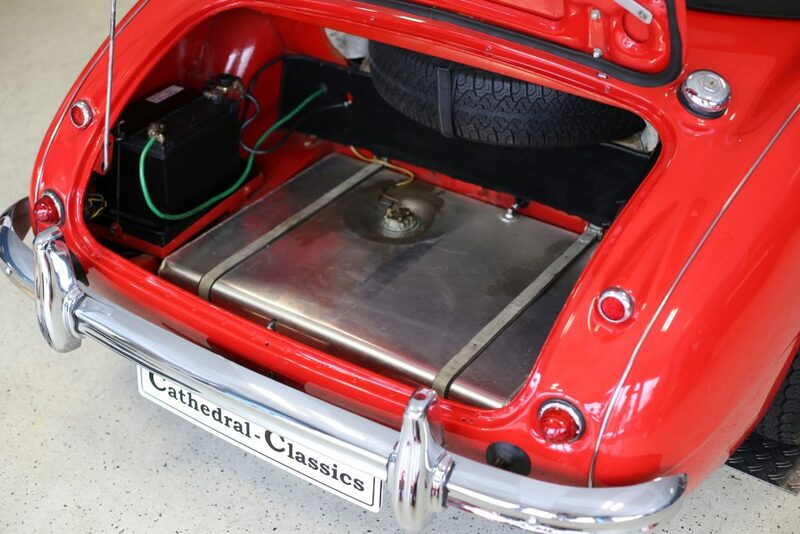 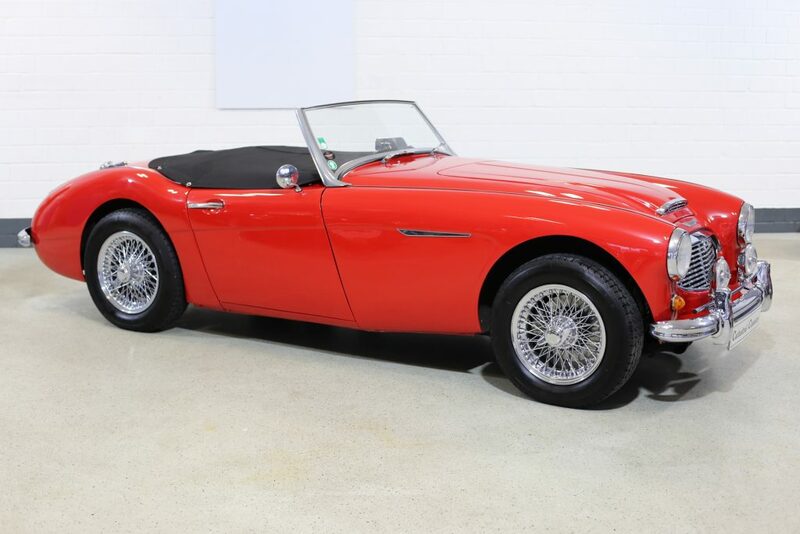 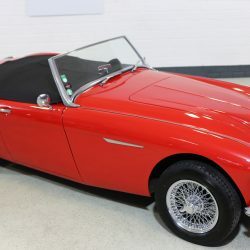 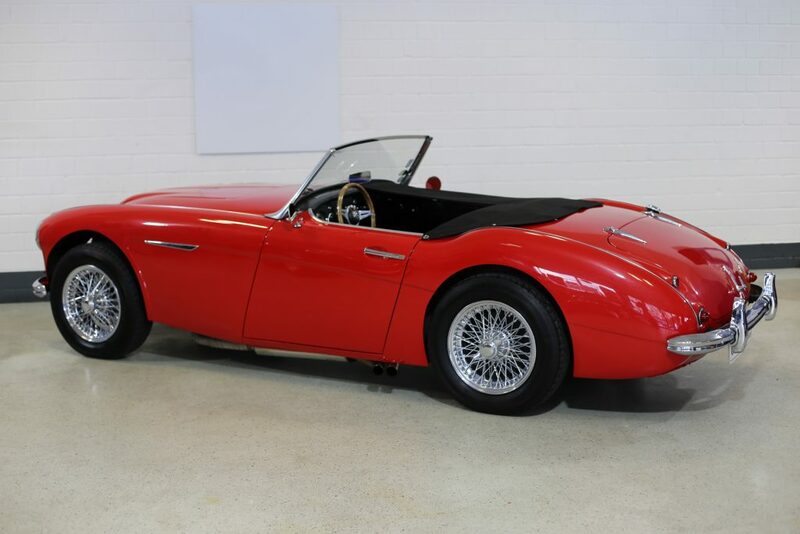 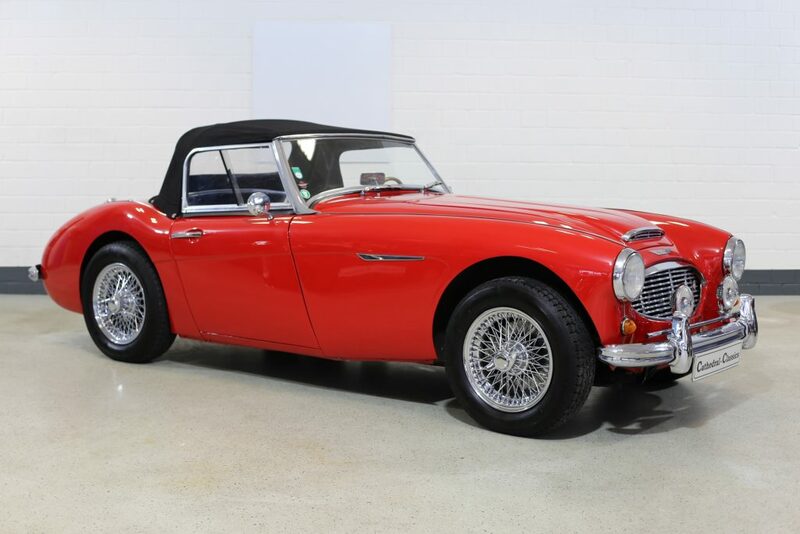 This example is most certainly one for the Healey ‘connoisseurs’ and should be considered as one of the very best available. 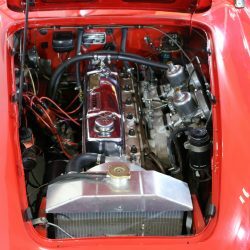 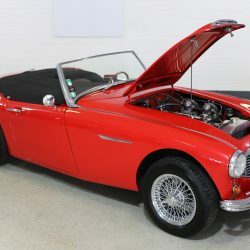 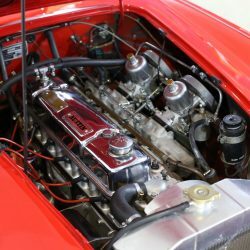 The car is a credit to the previous custodian who is one of the most fastidious owners we have ever had the pleasure to meet. 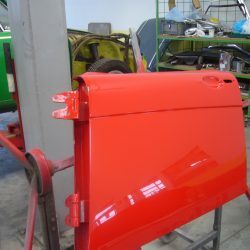 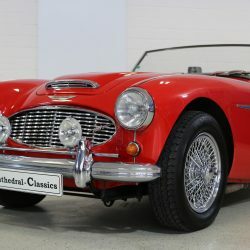 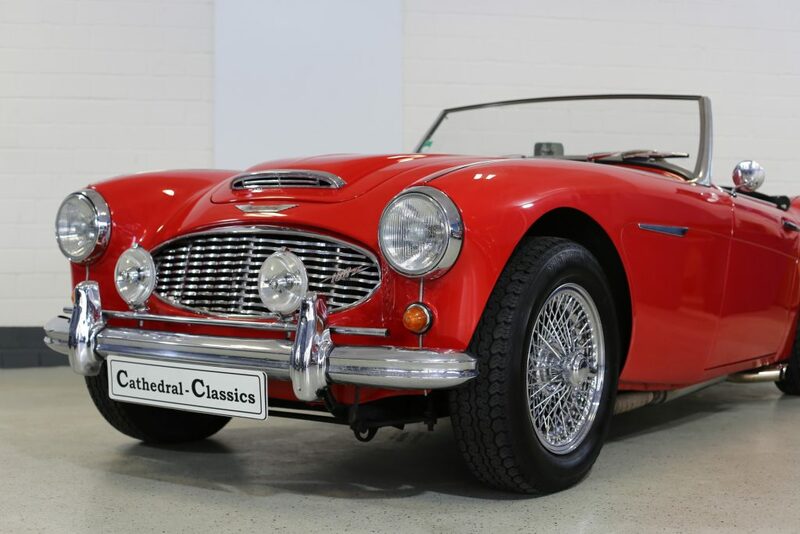 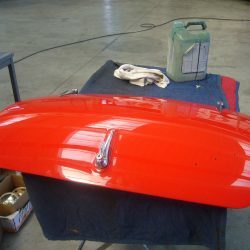 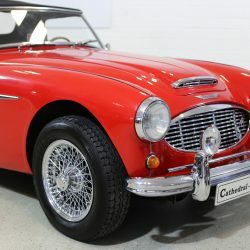 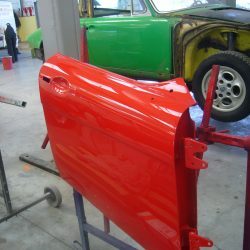 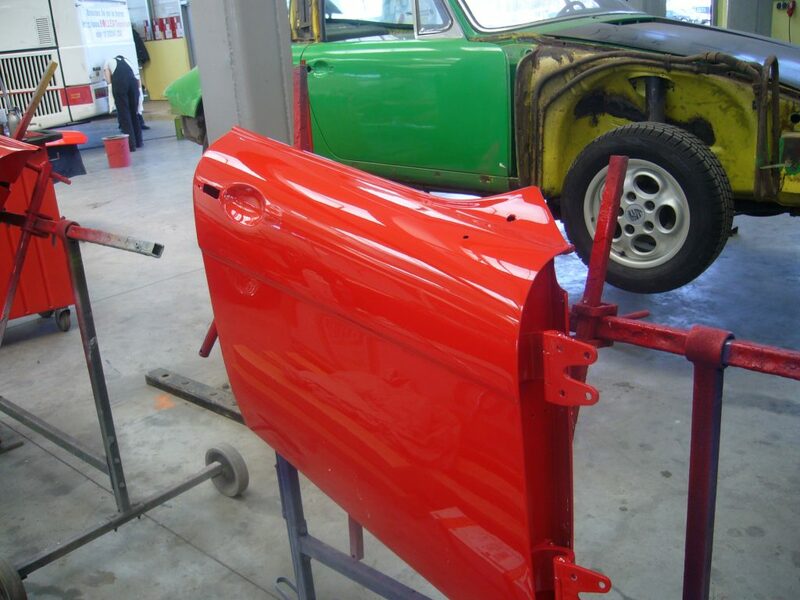 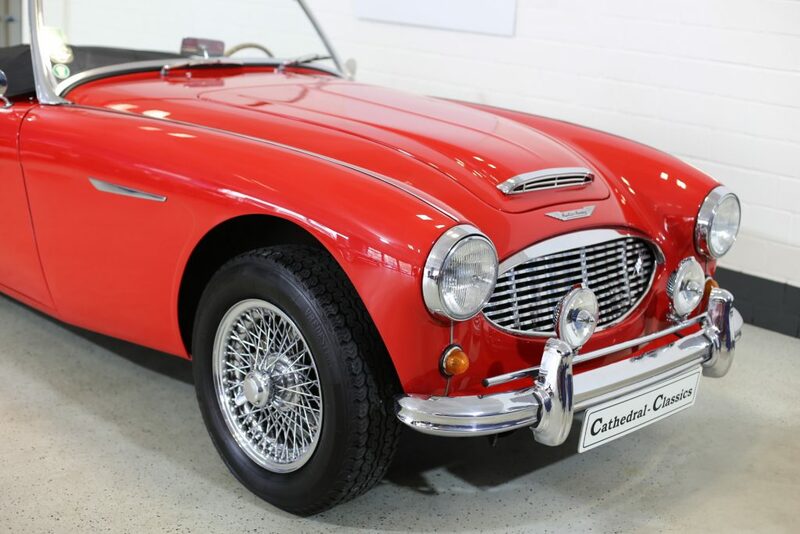 EXTERIOR – The stunning paint work is finished in Colorado Red and, although painted in 2006, the finish is quite astonishing and truly has lasted the test of time. 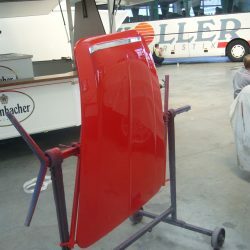 Credit goes to Fm Niggemeyer in Paderborn Germany for their quality of work. 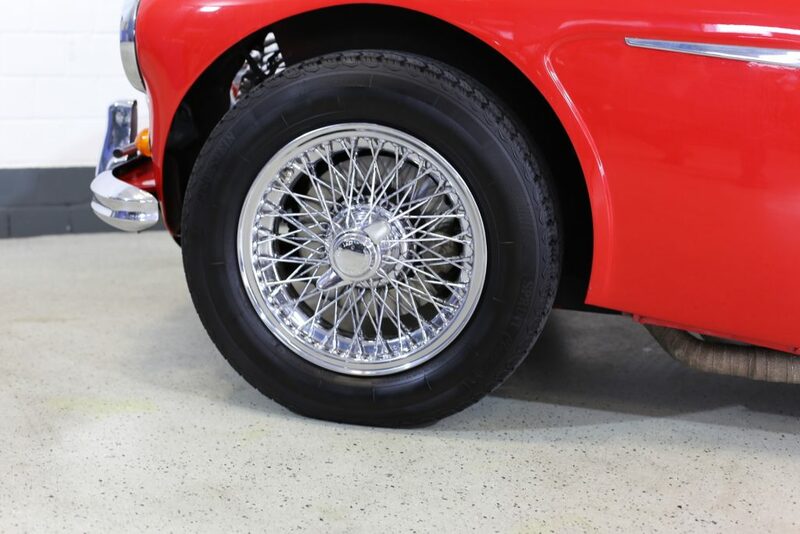 Gleaming chrome wires contrast beautifully and match all other chrome elements that were refurbished during the 2006 light restoration. 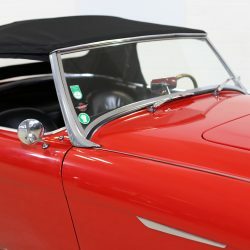 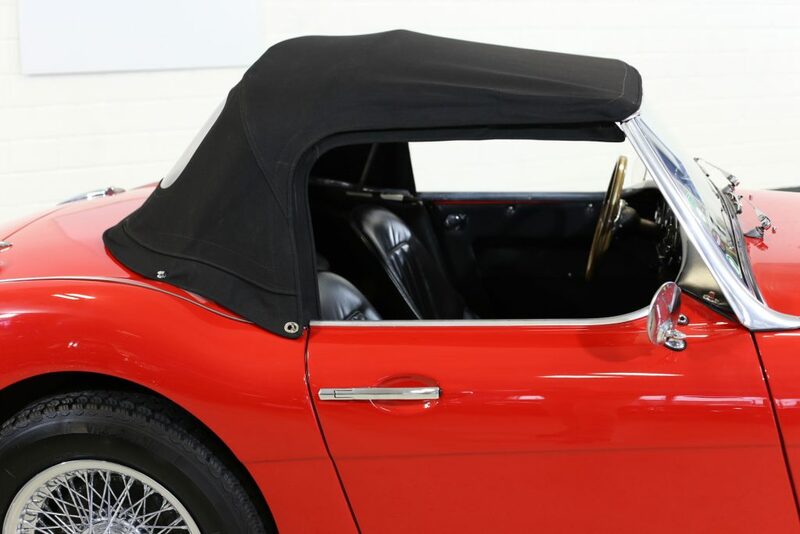 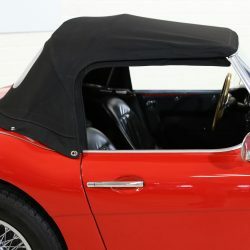 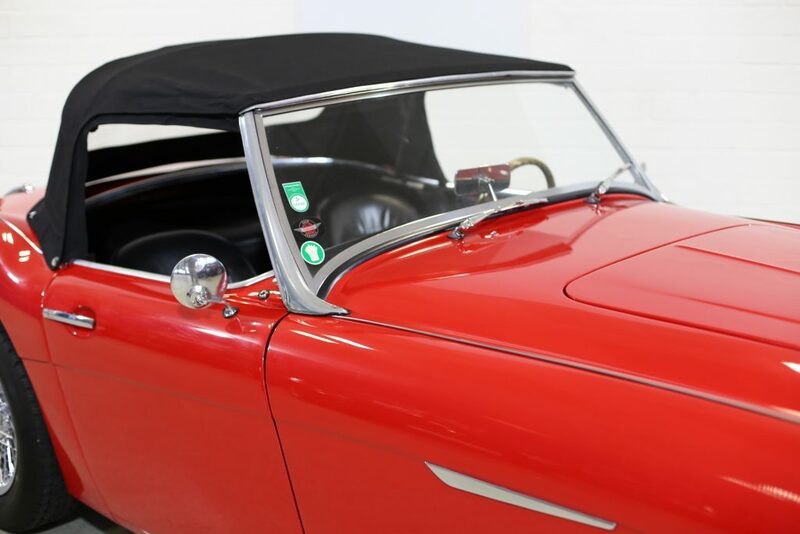 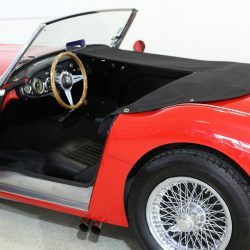 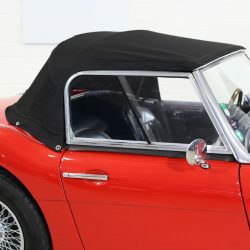 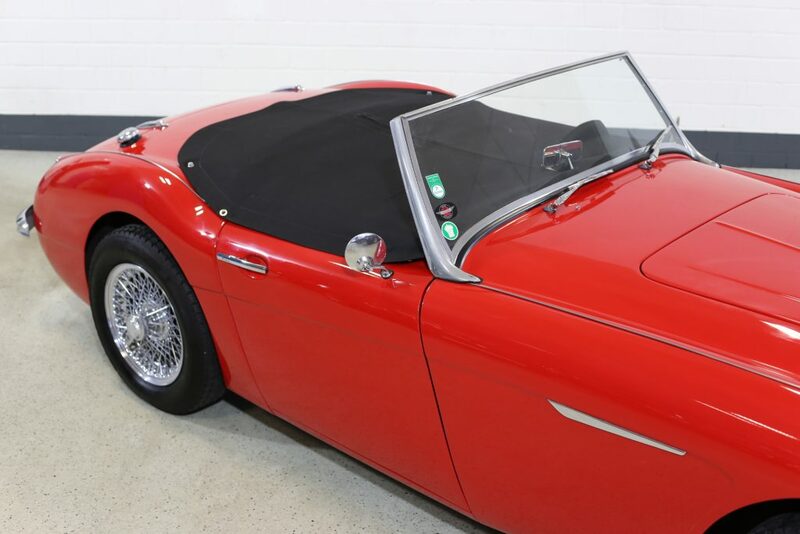 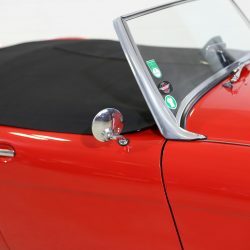 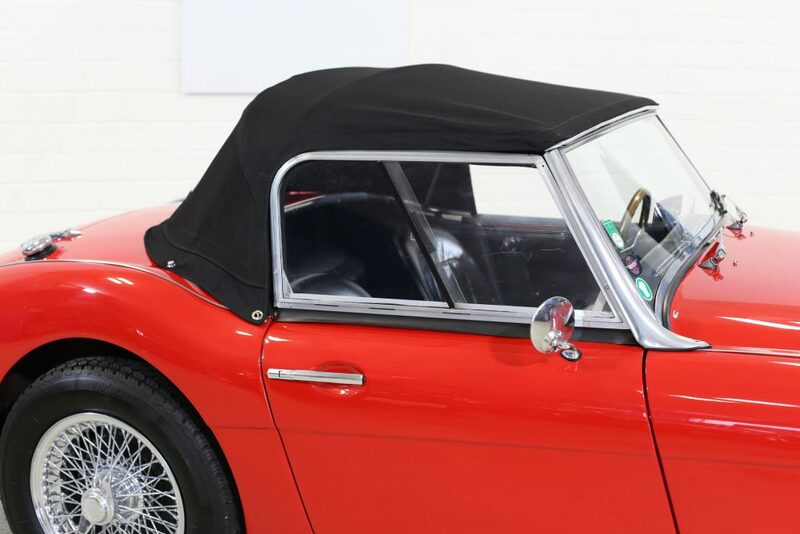 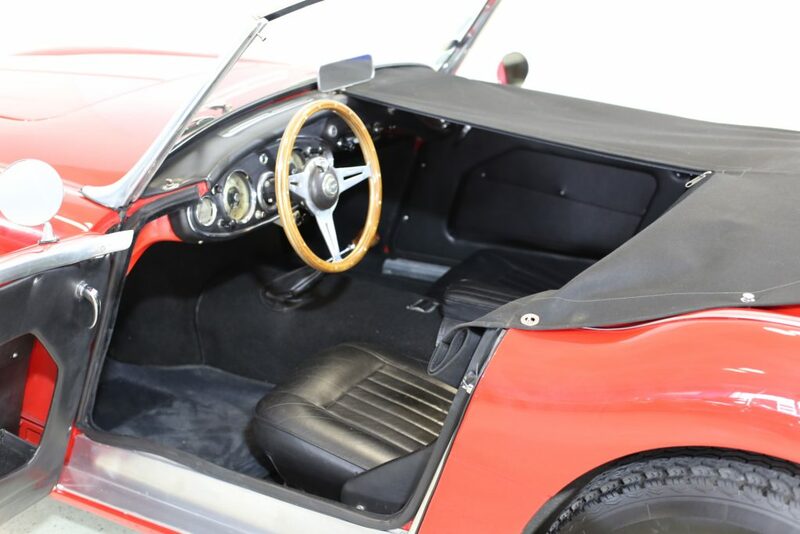 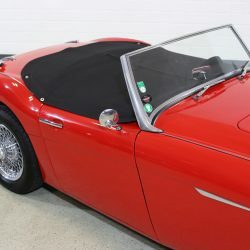 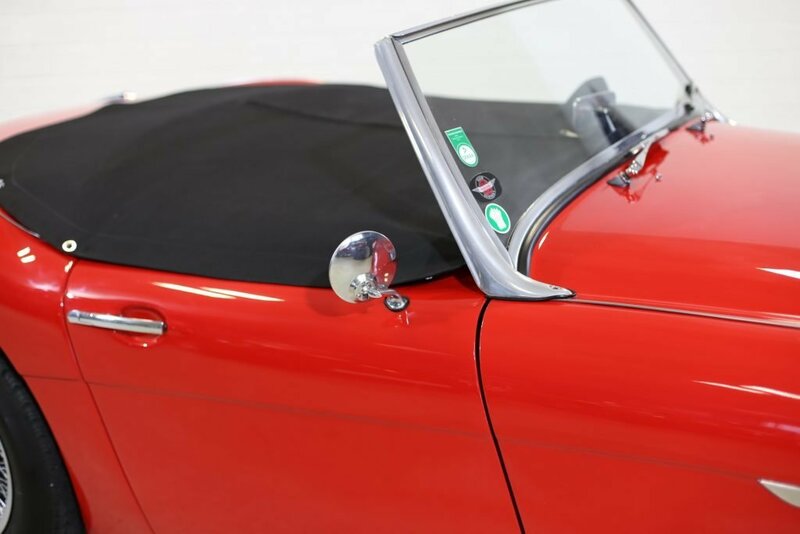 The mohair soft top and side screens are in perfect condition. 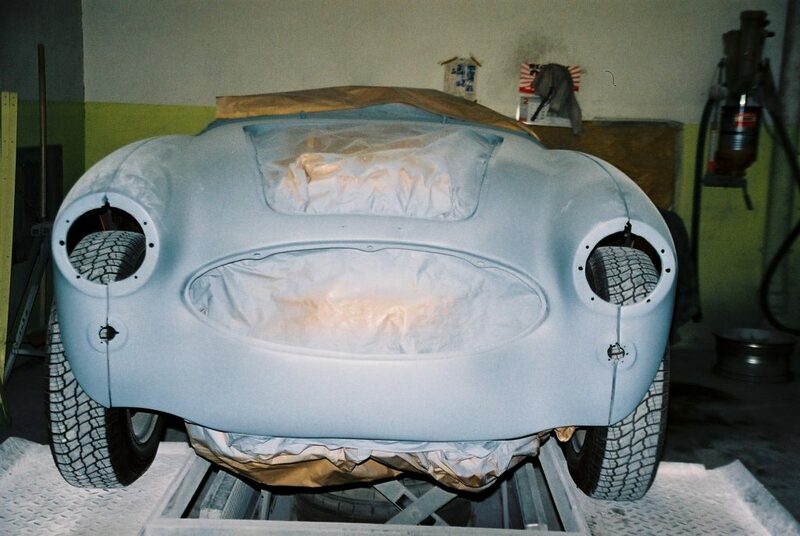 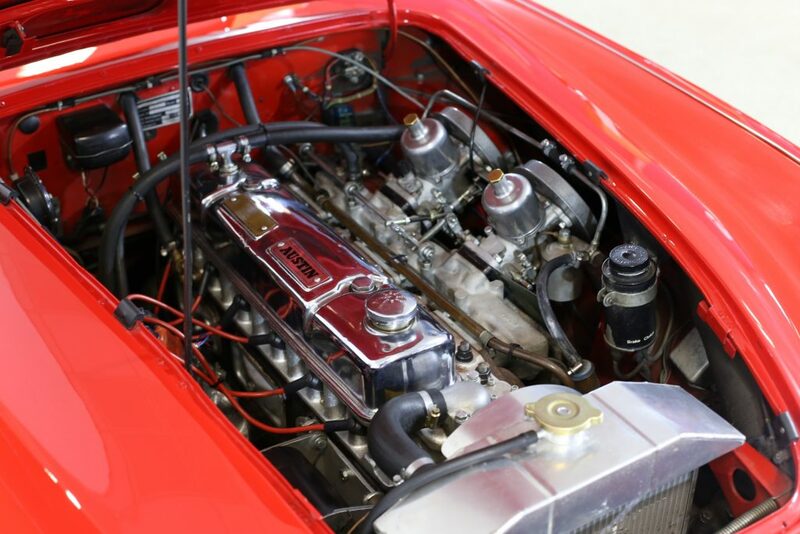 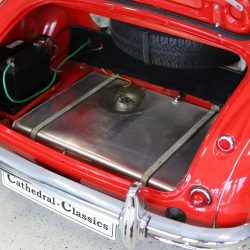 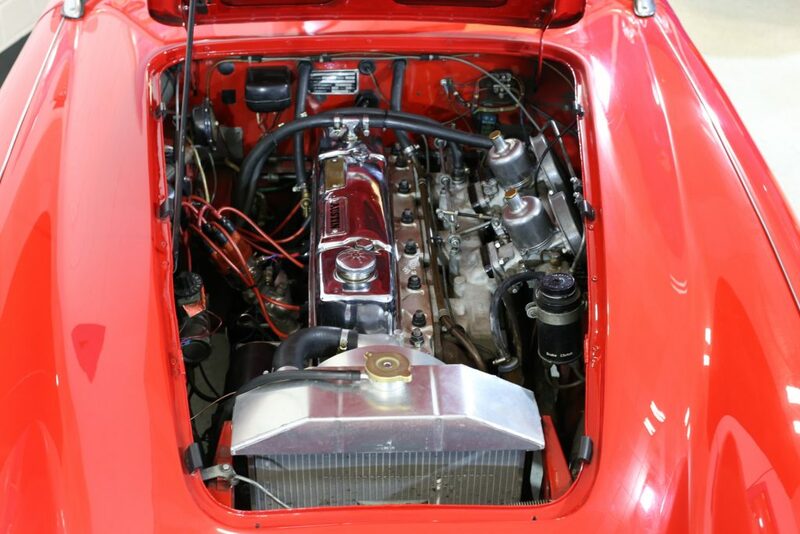 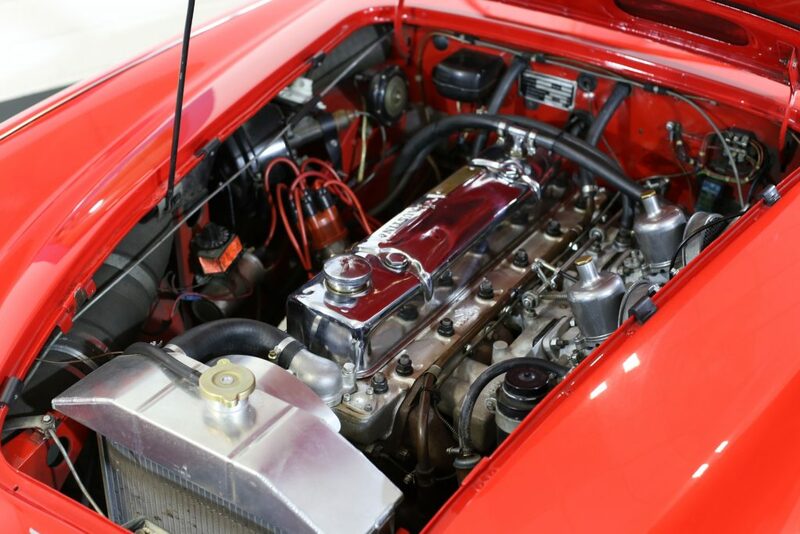 ‘Healey eyes’ will spot the two side exhaust pipes that emit the most delicious noise! 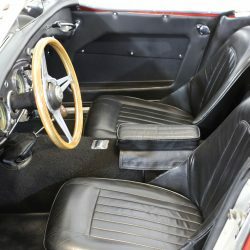 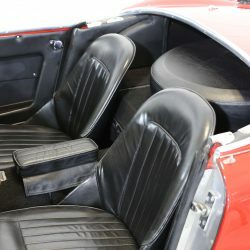 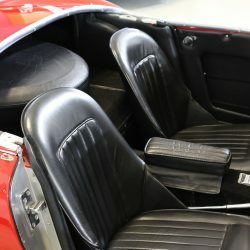 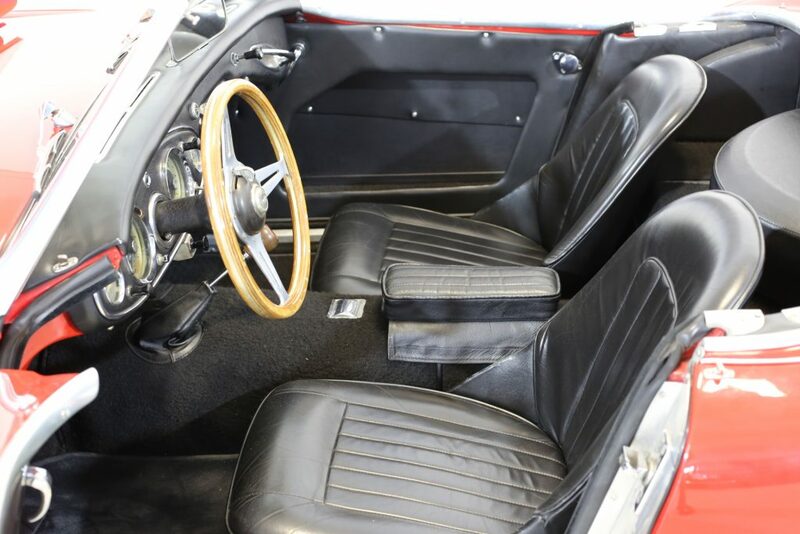 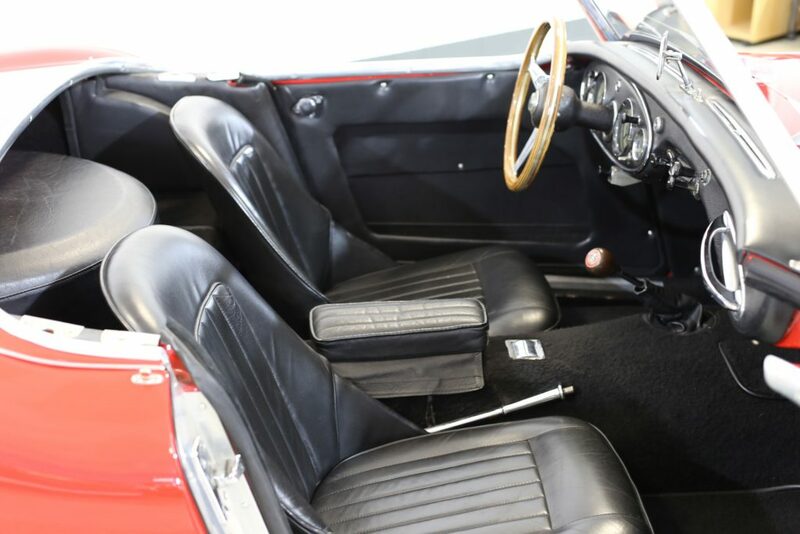 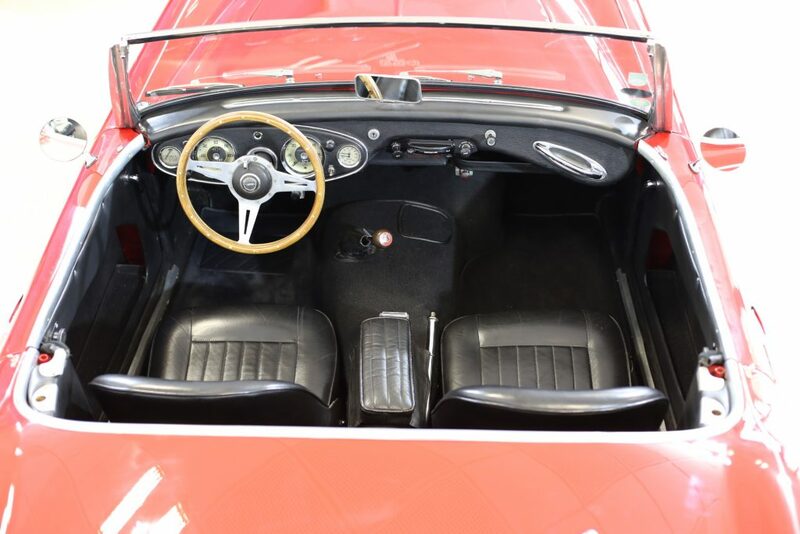 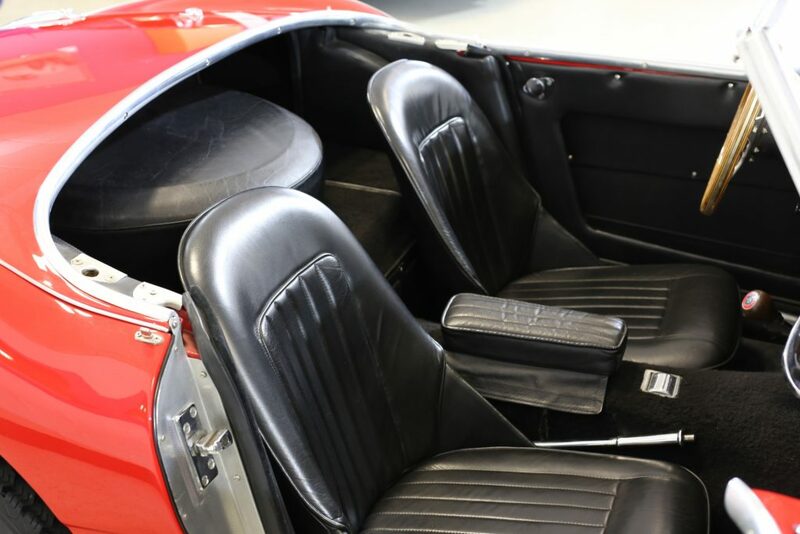 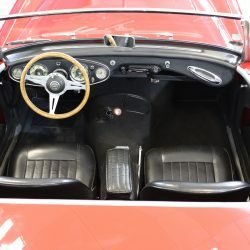 INTERIOR – The Spartan, but functional interior, is finished in black leather with both seats in exceptional condition. 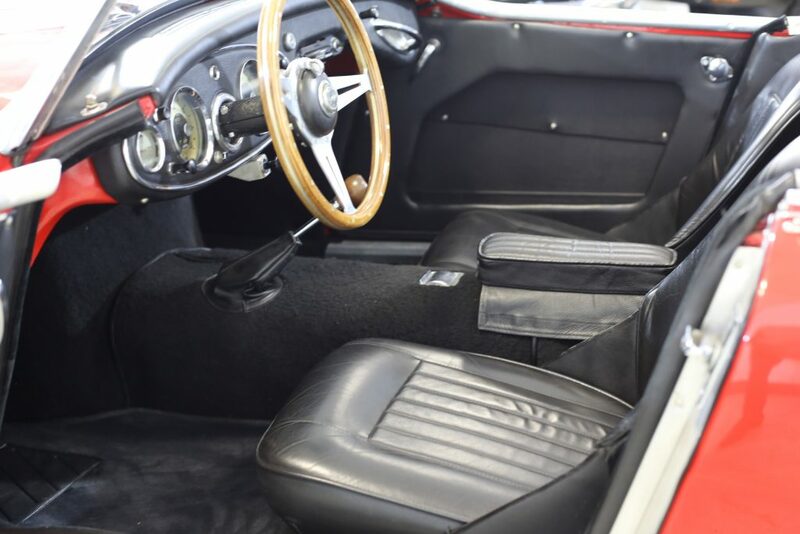 Equally, both door cards are A1 with double black carpet mats with insulation between, all in perfect order. 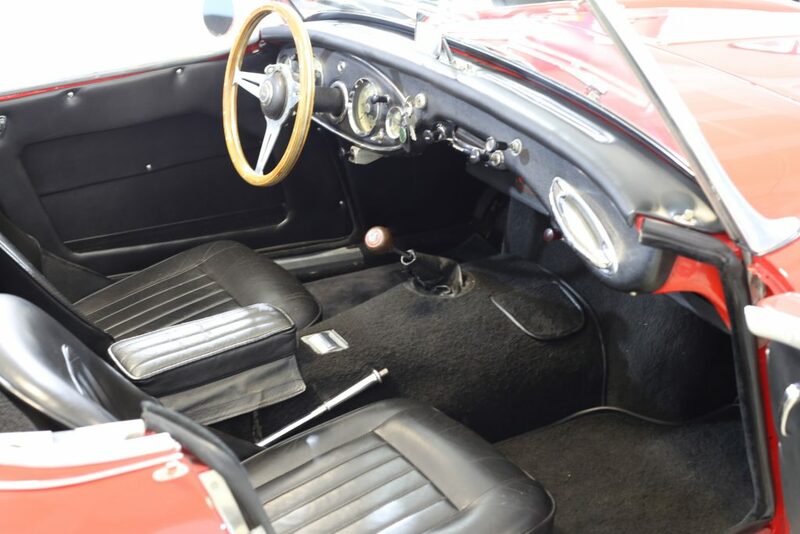 Passengers are of course welcome to hang on to that chrome grip handle on the dash whilst being whisked along! 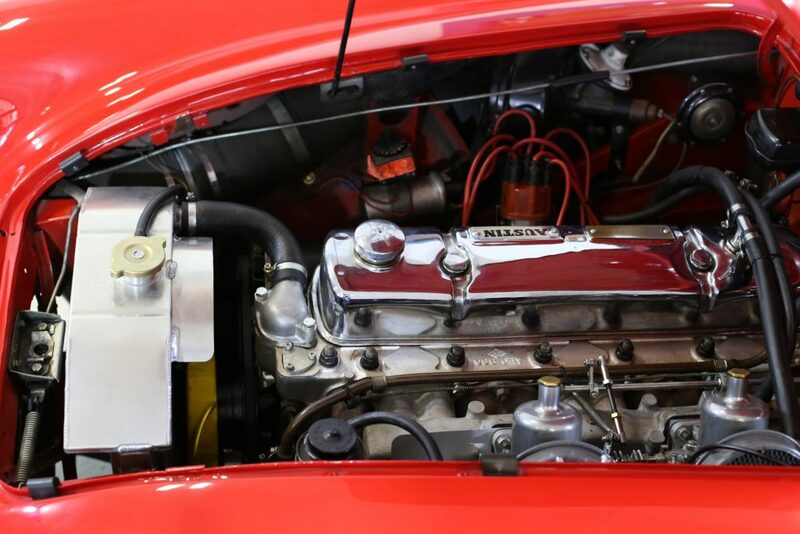 ENGINE & TRANSMISSION – Following extensive testing in 2014 a refurbished 2.9 Litre block was fitted along with a number of modern up-grades: electronic ignition; alternator; aluminium radiator; aluminium fuel tank; high performance starter motor; front disc brakes; stainless steel (insulated) exhaust. 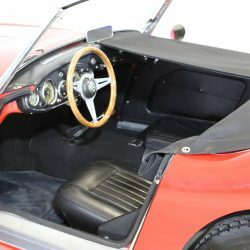 All have added to improving the car and modern driving. 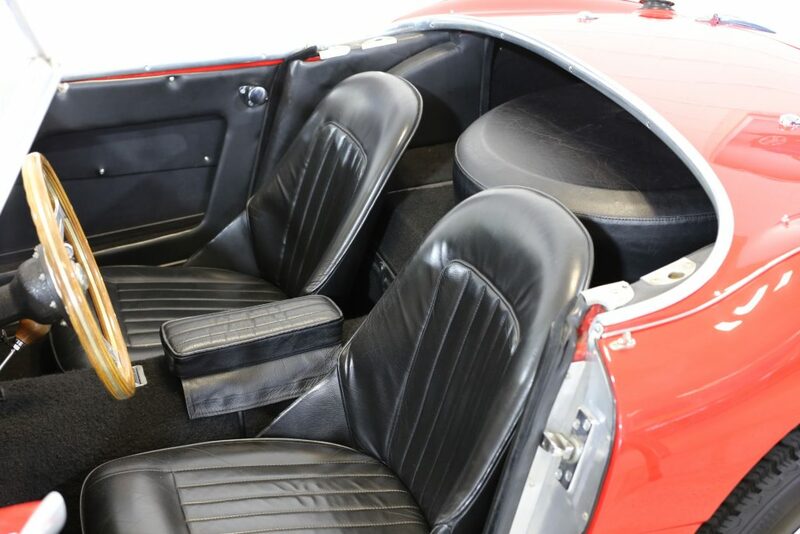 Naturally, all the original items, including the original block, have been retained for any potential new owner. 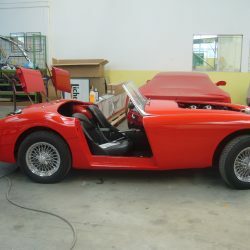 The result is astonishing with incredible performance. 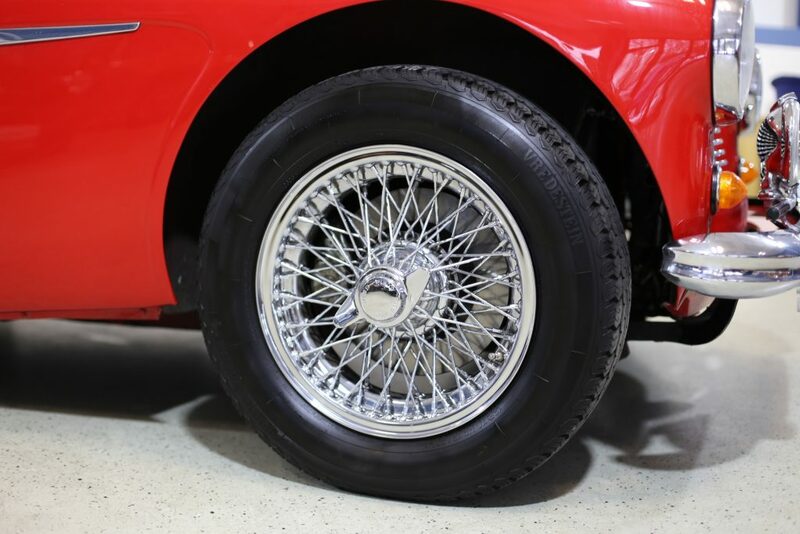 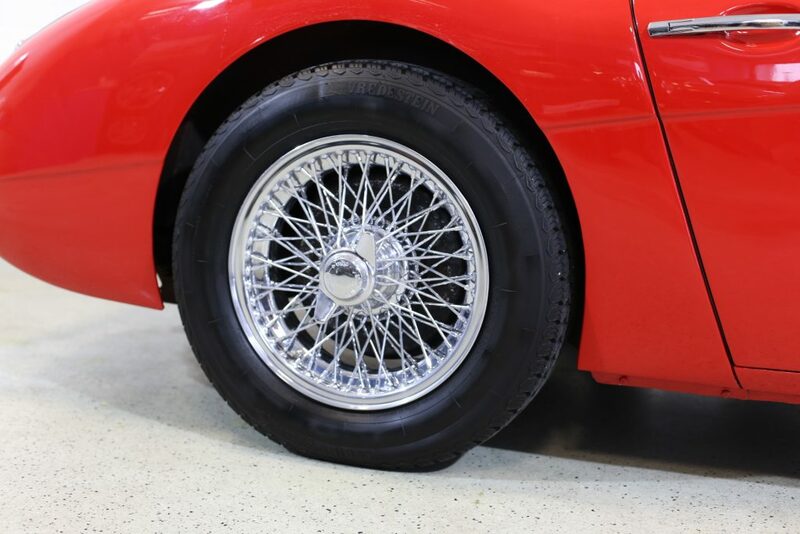 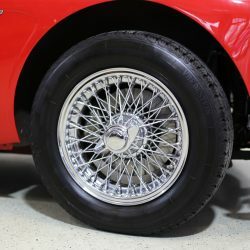 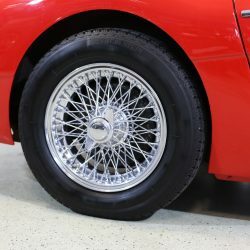 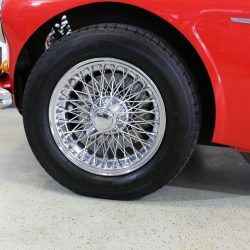 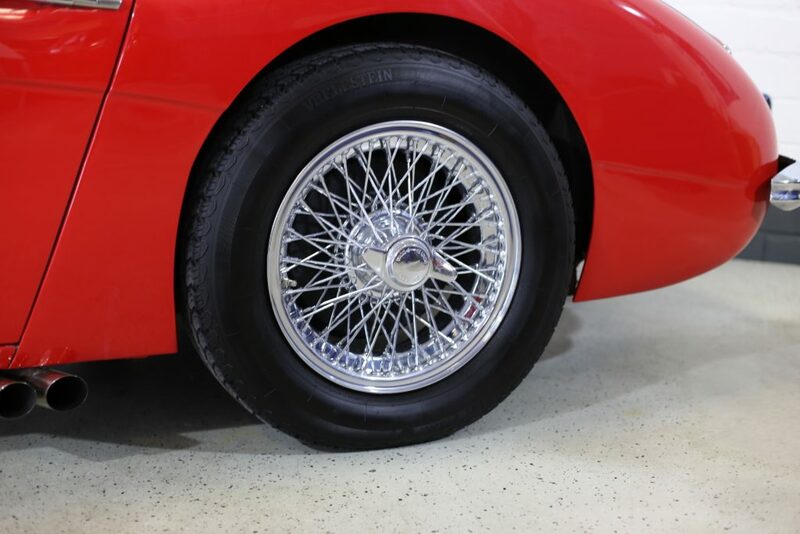 WHEELS, TYRES & BRAKES – Perfect 5 ½” chrome wire wheels have been matched to modern Vredestein 185/50 VR15 tyres offering fantastic grip. 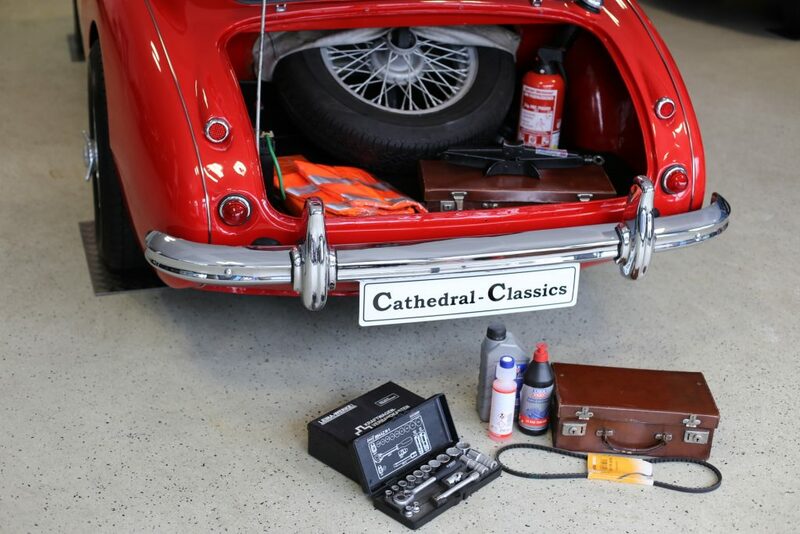 On testing, the car pulled up well assisted, of course, by the up-graded front disc brakes.